What can I say, I’d been waiting for January 14 for months! It marked the 2-day, 4-episode premiere of 24. Jack Bauer is back!! Are you catching the drift? This is serious stuff. At least to some of us. Sunday night Katie and I watched the premiere together. Then Monday night we got together with the Metzgers and Cranneys for the 2nd night. If you’re not already into this show, I doubt you’ll check it out. But if you want a thrilling drama every Monday night, you can catch up in one night. Otherwise email me and I’ll give you a summary. This entry was posted in Uncategorized on January 18, 2007 by Hans Schiefelbein. 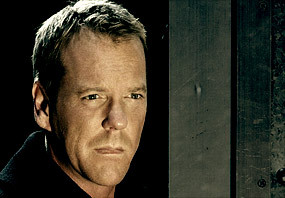 In a contest, Jack Bauer would beat both MacGyver and Chuck Norris!